Thread: Are Invicta Watches Good Quality Watches? hey anyone own an Invicta Watch? Are they good watches, worth starting up a collection of them? and how come the italic doesnt shut off? Re: Are Invicta Watches Good Quality Watches? Hi there New Collector and welcome to the forum! The easy answer on your question is a lot of folks love their designs but the QA and QC are not comparable to a brand like Seiko or Citizen. On the other hand, their design team does produce some pieces which are within the reach of most everyones budget so they do offer a nice way for the average person to get into the hobby. Many of us here started off with Invicta. Many folks draw the line between $200-$300 for their upper limits on Invicta purchases as their are other well known high quality watches available above that level. I have purchase Invicta watches above that limit but the below $300 price range seems to be the sweet spot for Invicta in terms of quality, price, and looks. On the other hand, many folks dislike Invicta for the very reasons stated above and would not take one if it was given for free!! It tends to foster a very black/white response with few shades of gray for many. If I could suggest using the search function on the WUS forum menu and typing in "Invicta" ; I think you could get a good feeling for the brand and a consensus of sorts. xatara, Phil73805, bilingham and 2 others like this. Wecome to the forum newcollector! 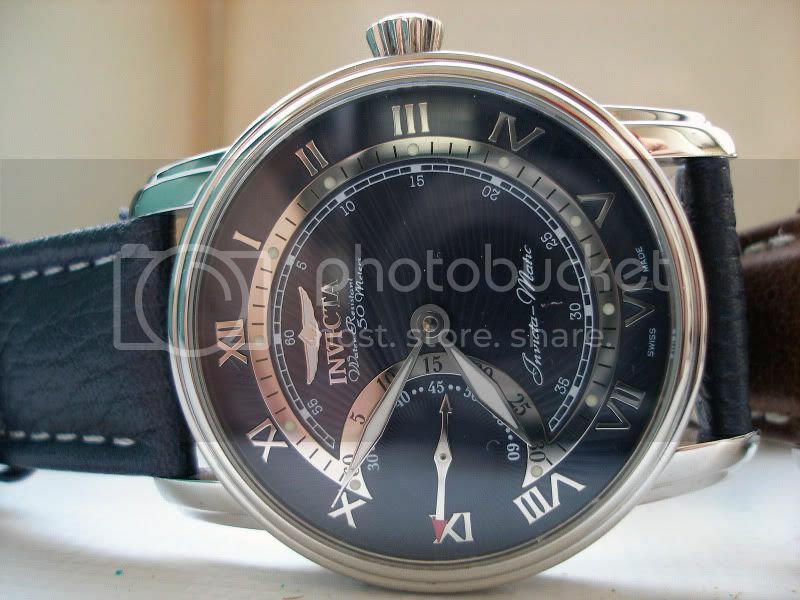 You'll get a range of answers on this forum concerning Invicta. I have owned around 9 or 10 of them myself and I've had a pretty good experience all around. I'm in the minority here. I never had a bad one. I beat my elite for 4 years until it died from abuse. I still own a few, and just bought a new one about a month ago. and another one 3 weeks ago and............... well you get the point. heres some good ones. I've owned two of them with no problems. I find them to be good watches if you stay under the $250 mark. Beyond that pricepoint you can purchase watches from other more reputable brands. My personal experience: Four Invictas, three of them duds. One popped a sub-dial hand within a month. Returned for a full refund. Two of them died in under a year. Both were repaired under warranty and died again within a few months. The reliable one has been a version of the 8926. I've had it for nearly 3 years with no problems. I liked the exterior build quality on all of them, especially the bracelets. Too bad most of them died an early death. These were all automatics, by the way. Me? I'm done with the brand. Last edited by leewmeister; July 9th, 2007 at 17:58.
myke and Bahoomba like this. I just have 2 Invictas at present and have had 4. All of them have worked OK for me, maybe I have been lucky. Where do you get your watches from? i've found some good cheap places online (i figure i'll buy one and see how it goes) just wondering where you would recommend going to..
the cheapest i found actually happens to be www.diamondshack.com so if you know anything about them please let me know!!! I just checked out there site. pretty good prices and they carry some of the discontinued models also, like the malaga. I still watch ebay and buy some from private sellers. the elite series can be had new for under 100.00 if you wait for the right seller. the S1 at the bottom of my pics is very hard to find though. if one shows up, buy it. B-1 versus X33, part 1, functions.